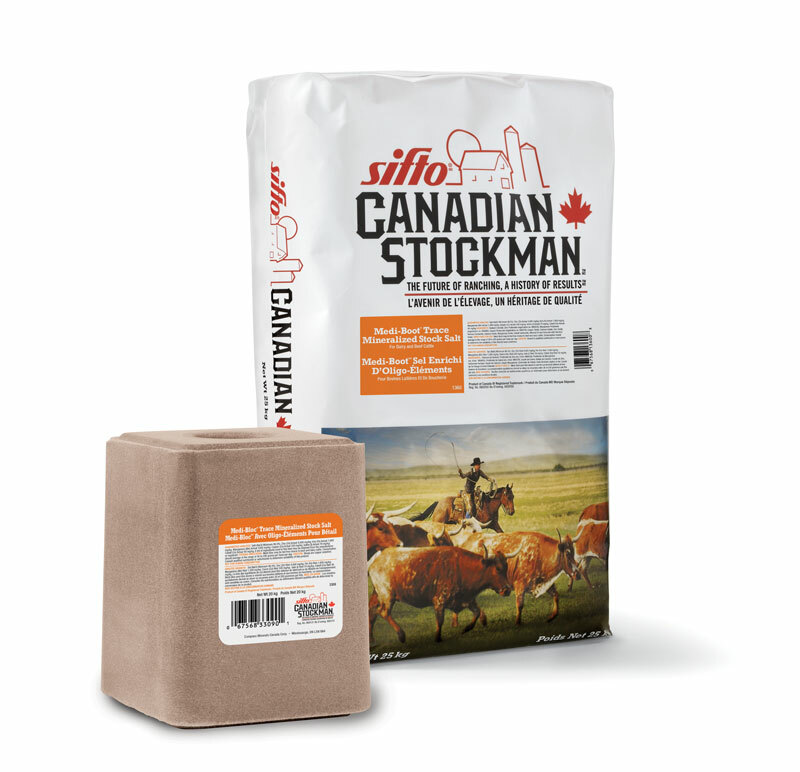 Sifto Canadian Stockman Medi-Boot and Medi-Bloc are the first agricultural salts that use chelated trace minerals for increased absorption and proper mineral balance. The result is increased performance and better health. 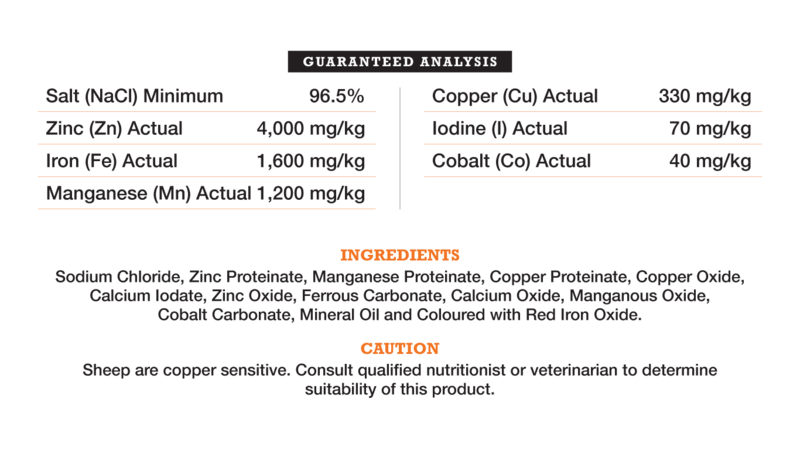 Chelated trace minerals are very effective for stressed cattle and calves, and for cows in heat. Available in 25-kg poly-lined paper bags and 20-kg blocks.